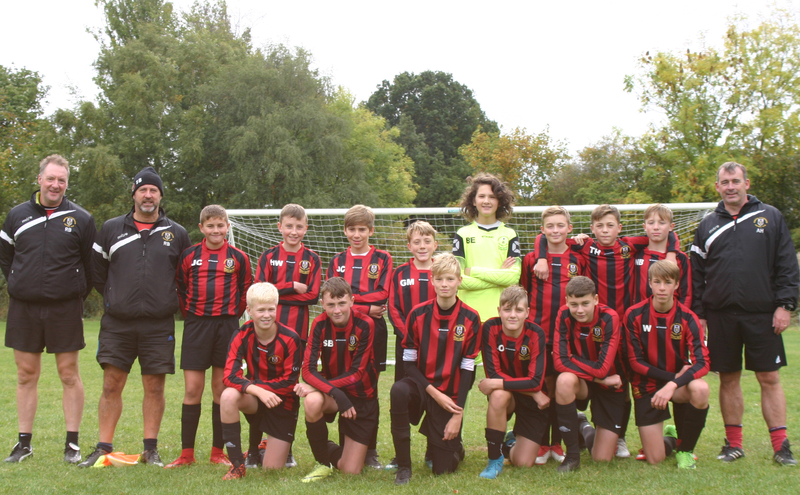 Gomersal & Cleckheaton U14 White 3 vs. 1 Hepworth United Junior U14 A - 10 February 2019 - Under 14 White - Gomersal & Cleckheaton F.C. A close fought game until the latter stages, but Gomersal held on and deserved their 3-1 win. It was a tight 1st half but on 25 minutes Sam Bottomley put through a long ball to Tim Hill who netted with confidence to make it 1 nil. 10 minutes into the 2nd half Alex Hughes found Tim Hill who took the ball inside from the right wing and shot from outside the area to make it 2-0 nil. Gomersal then relaxed a bit and were caught out down the wing for them to pull one back. It was then very tight until about the 68th minute when Alex Hughes found Tim Hill again with a superbly crafted shinner, Tim Hill then took on several players before completing his hatrick. Luke Oldcorn hit the bar and then was brought down in the box, but the penalty wasn't given. Really good strong performances from all the team but especially a commanding one from Bryn Evans, Lewis Wilkinson, Luke Oldcorn was superb. Elliot Atkinosn and Gilbert Clough battled hard, both of who were carrying injuries but carried on, Harvey Walker did really well filling in at left back. But the outstanding player today with 2 assists, always going towards the ball and getting really close to his man was the mighty Alex Hughes, well done lad! A satisfying morning, well done.